Comment: I would like to get an estimate for concrete flatwork. Comment: We want to build a metal building that needs a concrete pad poured. size of garage is 26x40x10. Ridgeland Concrete Contractors are rated 4.65 out of 5 based on 173 reviews of 17 pros. 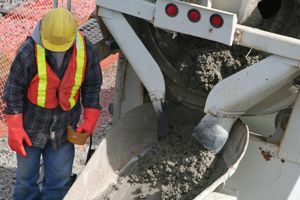 Not Looking for Concrete Contractors in Ridgeland, MS?